For both children and adults it is a fun time of the year. Candy, costumes, decorations and of course, pumpkins. No matter your age, there is one fall event that brings out the kid in all of us: pumpkin carving! Each year, however, emergency rooms throughout the country are filled with injuries as result of accidental lacerations while carving. Lacerations to the fingers and hands often result in surgery and extensive rehabilitation. These unintentional quick slips of the knife are usually avoidable by following a few simple reminders. Adult Supervision: We all want our children to engage in this holiday carving tradition, but don’t let the nostalgia of the event trump safety. Leave the knife handling to adults and allow children to draw, paint, or scoop out pumpkin contents. Use Pumpkin Carving Kits: Commercial pumpkin carving kits have become increasingly popular not only for design but for safety. Plastic tools and saws associated with these kits decreases injury risk and the need to use knives or other sharp cutting tools. Keep Work Areas Clean: Maintain a clean work area by reducing the amount of tools and clutter. Often pumpkin carving can become a social event where numerous children and/or carvers are working in close proximity. Maintain a safe working distance and minimize the handling and sharing of tools (especially knives). Keep Tools Dry: Have dry towels on hand and routinely clean and dry knives or sharp carving tools. Moisture from pumpkins causes tool slippage which is a major cause of knife lacerations. Monitor Hand Placement: Be aware of hand placement at all times. Always cut away from your body and avoid placing supporting hand/fingers inside or behind pumpkins. Have a safe and happy Halloween! If you do unfortunately find yourself with a knife laceration and need medical assistance then do not hesitate to seek care. Wash the wound immediately with clean water and control bleeding with pressure. 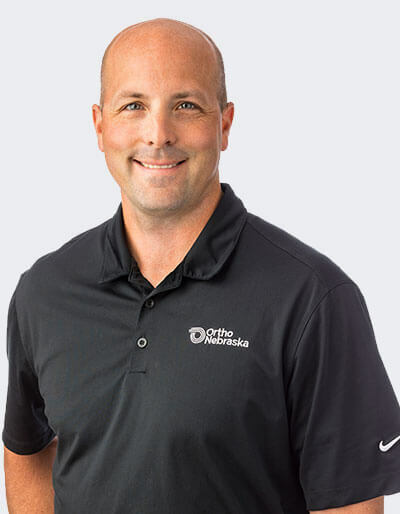 The OrthoNebraska Emergency Room and Orthopaedic Urgent Care on night and weekends are here to help. If you hurt your hand, call for an appointment with one of our hand surgeons: (402) 637-0800.